I have a master list (Projects) containing all the data about the projects my clients' employees (technical writers) are working on. When it's time for the writers to grab sign offs on the project they are working on, they run a workflow called, appropriately, "Send for Approvals". The workflow itself is pretty simple: create some approval tasks for other individuals in the company based on selections made in the Projects list. The only problem is, the writers aren't double checking that they've made accurate selections before sending their items off for approvals, which is creating a huge administrative headache. So, I've been trying to display the list item information for the specific list item on which the writers are running the workflow on its initiation form, customized in InfoPath 2010. I know I need the List Item ID in order to do this and, after intense research, it appears that the only place the List Item ID is held during initiation is in the current URL, which is passed as a parameter into the workflow once it starts. Can I get at that List Item ID in the URL, or is there another way? FYI: I cannot use the InfoPath Form Web Part or any VB solutions. 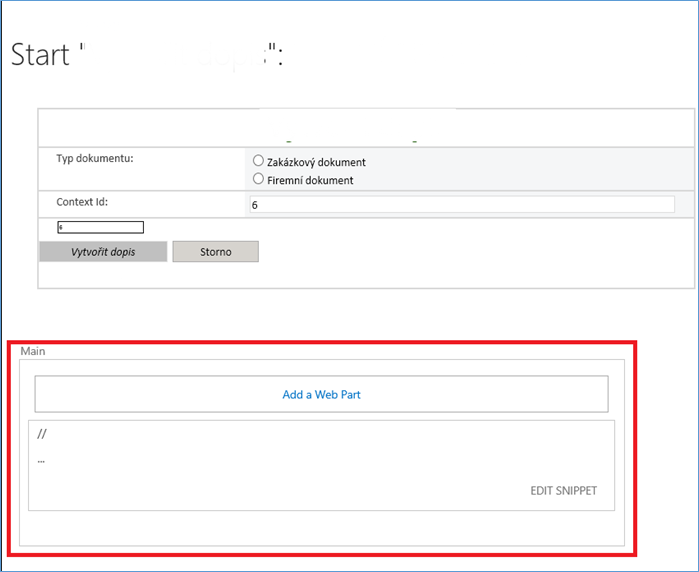 "Note: If you have SharePoint Foundation 2010 installed instead of SharePoint Server 2010, the workflow forms generated by SharePoint Designer 2010 will be ASPX forms instead of InfoPath forms. 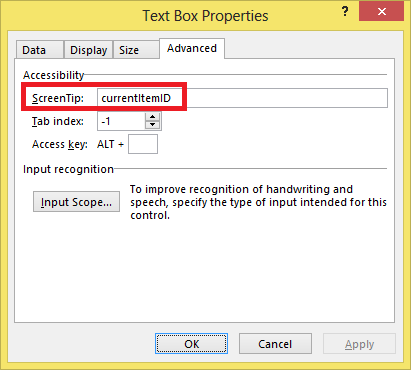 In the latter case, you would use SharePoint Designer 2010 (and not InfoPath 2010) to modify the workflow forms"
can workflow Initiation form text label show List Item field? Is it possible to add fields from infopath form library to a workflow task list tied to that same form library? 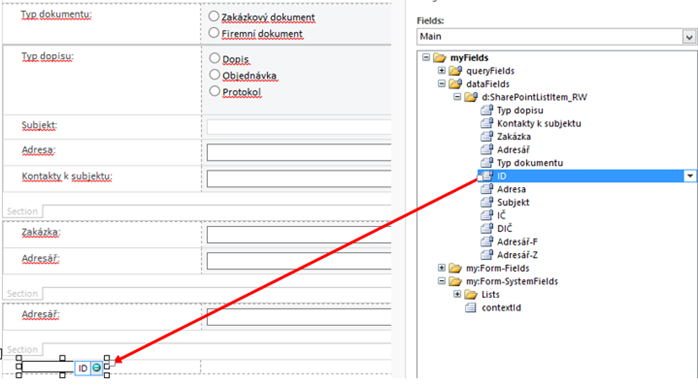 1) Create input workflow variable/parameter (show on start form)with name "ID" and save the workflow. 5) Why is it important? Because ID for field/input changes when you change the form (i.e. when you add a new field), but attribute "title" not. Not the answer you're looking for? Browse other questions tagged 2010 sharepoint-designer workflow infopath list-item or ask your own question. 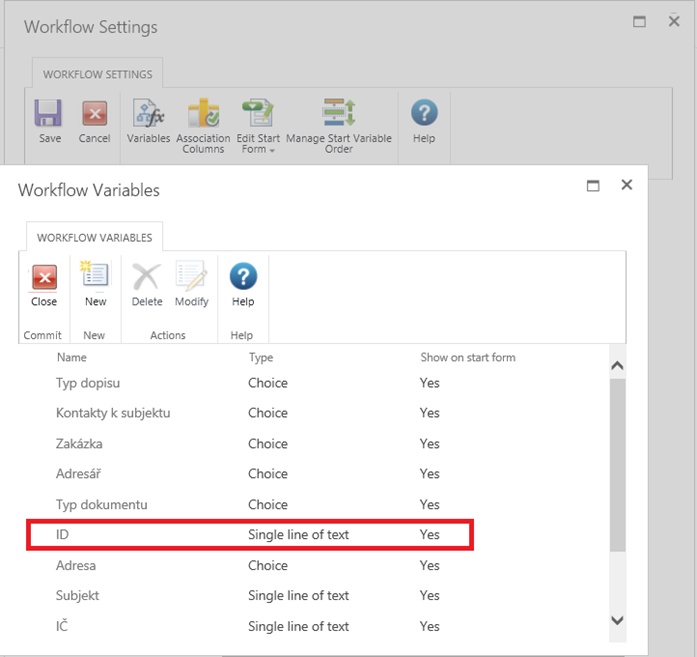 No InfoPath forms in SP 2013 workflows? Workflow: Show initiation form after creating new item? How can you create a dynamic link to a workflow initiation form in a workflow-based e-mail? How do I update an initiation form to reflect changes in Initiation parameters? Enable Rich Text in a Site Workflow Initiation Form for a Multiple Line Column w/o InfoPath? How can one skip the workflow start/initiation page?